Riparte la quinta stagione di Bologna Calibro 7 Pollici [info] a Vag61. 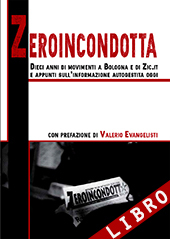 Ad inaugurare le danze abbiamo chiamato un veterano della scena europea, francese di origine ma con le radici ben salde in Inghilterra, attivo dagli anni ’90 nei circuiti underground del reggae e non solo. 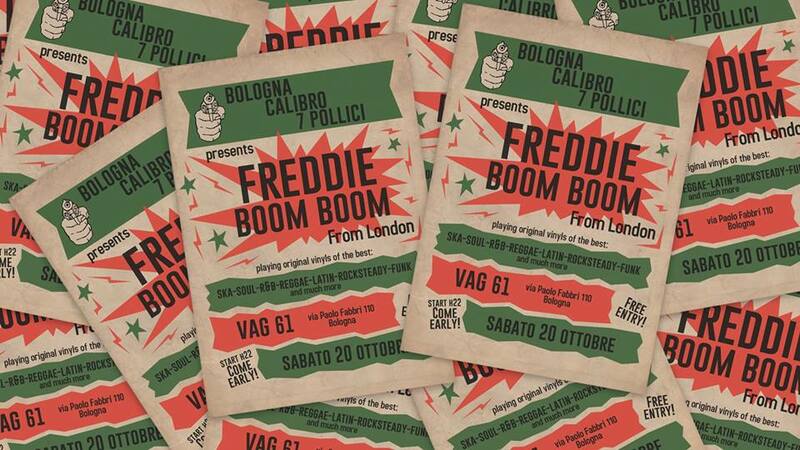 Signori e signore, diamo il benvenuto a Freddie Boom Boom, direttamente da Londra! C’mon dancing the best R&B, Soul, Northern Soul, Popcorn, Funk, Exotica, Cumbia, Oldies, Gospel, Ska, Rocksteady, Early Reggae, Latin & Boogaloo on 7inch records! Freddie: I have been immersed in music from a very young age. I have developed my interest in Jamaican music with the 2-Tone years and Punk, two musical styles which like Jamaican music have always had an independent spirit and social message at heart. I have been involved with bands (The 100 Men), fanzine editing (Skactualités), record releasing (Magic Records), gig organising, and radio and club DJ-ing, all on the independent circuit. Moving from France to London in the 1990’s, I took part to more club DJ-ing, mainly in underground clubs on the UK and European Mod scene. I love playing a mixture of 1960’s and 1970’s Jamaican music alongside Jazz, Soul, Funk and Rhythm’n’Blues, as all these styles are related and the audience loves to discover and dance to them. I also have collaborated as a DJ regularly for the past ten years with Fred Perry Ltd. on their music events (private or public), and have been a consultant for their shop’s playlist.